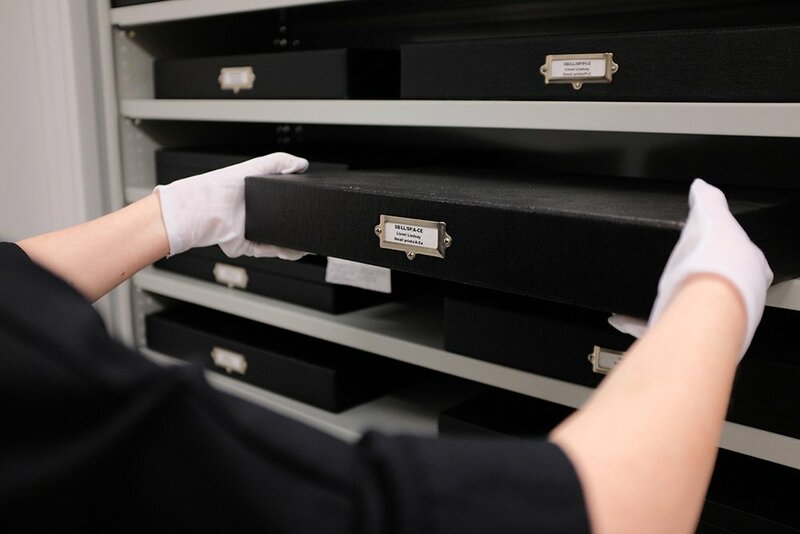 Fundraising provides the Gallery with essential financial support to ensure its long-term prosperity. 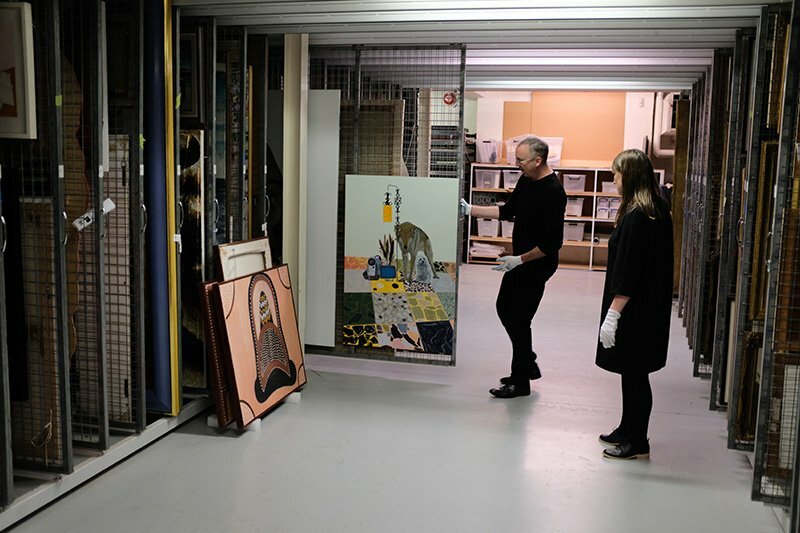 The first stage of Geelong Gallery’s collection storage upgrade campaign has raised $25,338 through the support of 104 community donors during our recent 30-day Pozible campaign. 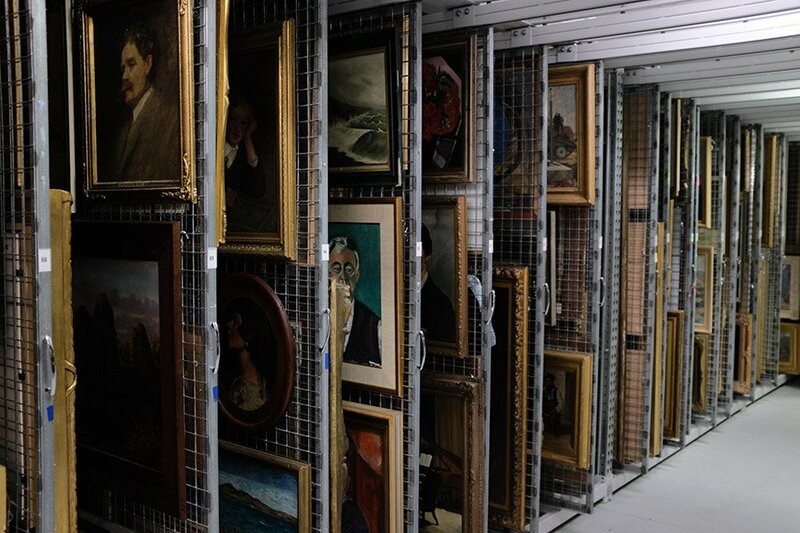 Fund something you can’t see has ensured the Gallery's back-of-house upgrade which will increase painting storage by 25%, demonstrably improve access to the collection for Gallery staff, students, art historians and researchers, and ensure the continuation of best practice in collection and cultural heritage management. Funds raised wil deliver the purchase and installation of 15 museum-grade painting racks, a vertical shelving system for framed works on paper (tills), improved shelving for decorative arts storage, a dedicated area for the processing of inward and outward collection movements which doubles as a viewing area, and a preparation table for the mounting of works on paper. This project is endorsed by Creative Partnerships Australia’s fund-matching scheme Plus1. Every dollar raised will be matched, up to $50,000. Geelong Gallery is working with additional private donors and Estates and is confident the full $50,000 will be raised. Contact us at info@geelonggallery.org.au to find out how you might get involved. Geelong Contemporary was formed in 2016 to support the growth and presentation of Geelong Gallery’s acclaimed collection of contemporary Australian art. Geelong Contemporary comprises a group of external contemporary art enthusiasts and collectors who are achieving their vision through donations, an annual program of events and exclusive opportunities. Read more about Geelong Contemporary. Geelong Gallery Foundation is strongly committed to providing Geelong Gallery with essential financial support and ensuring its long-term prosperity. Geelong Gallery and Geelong Gallery Foundation are very pleased to acknowledge donors to the 2018 Annual Giving campaign. For further information, visit Geelong Gallery Foundation. Express your appreciation for someone special with a Gift in Honour. Your donation can be made in recognition of a special event, or perhaps a final tribute in remembrance of a special life. If suitable, Geelong Gallery will send a letter of appreciation to the person or persons you designate your gift to, informing them of your donation in their honour, or that of their loved one. For further information contact us at info@geelonggallery.org.au. Donations over $2.00 made to Geelong Art Gallery Inc. are eligible for a tax deduction. Geelong Art Gallery Inc. is endorsed as a Deductible Gift Recipient (DGR) from 01 July 2000 and registered with the Australian Charities and Not-for-profits Commission (ACNC) from 3 December 2012.